Libya’s army announced a cease-fire Sunday, joining an Islamist-backed militia alliance in declaring a truce that the United Nations hailed as a “significant” step toward ending months of violence. “We declare a cease-fire from midnight [2200 GMT] Sunday,” the army said, stressing however that it would continue to pursue “terrorists,” as U.N.-brokered peace talks resume in Geneva next week. 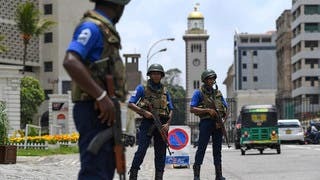 The army also said it would monitor the situation on the ground “to prevent any change in front lines or transportation of weapons and ammunition,” which it would consider a violation of the truce. Soldiers “have been given the right to defend themselves if they come under fire,” the statement added. The U.N.’s Libya mission welcomed the cease-fire as a “significant contribution” to the country’s peace process. He said the military would “ensure the security and stability of the country and combat terrorism” in Libya. On Friday, the Fajr Libya (Libya Dawn) militia alliance said it had agreed to a cease-fire in the North African country on the condition rival factions respected the truce. It also pledged to open up “safe passages to channel humanitarian aid”, especially in Libya’s battleground second city of Benghazi. Fajr Libya did not take part in a first round of U.N.-brokered peace talks in Geneva last week, during which Libya’s opposing factions agreed on a roadmap to form a unity government and to further discussions. The army’s announcement came after the U.N. Security Council welcomed the Fajr Libya cease-fire and threatened to impose sanctions on any party that obstructed peace efforts. “There can be no military solution to the crisis in Libya,” the council said in a unanimous statement on Saturday. Libya has been sliding deeper into conflict since the 2011 overthrow of Moammer Qaddafi, with rival governments and powerful militias battling for control of its main cities and oil wealth. The internationally recognized government and elected parliament decamped last summer to the country’s far east after Fajr Libya seized Tripoli and set up its own administration. 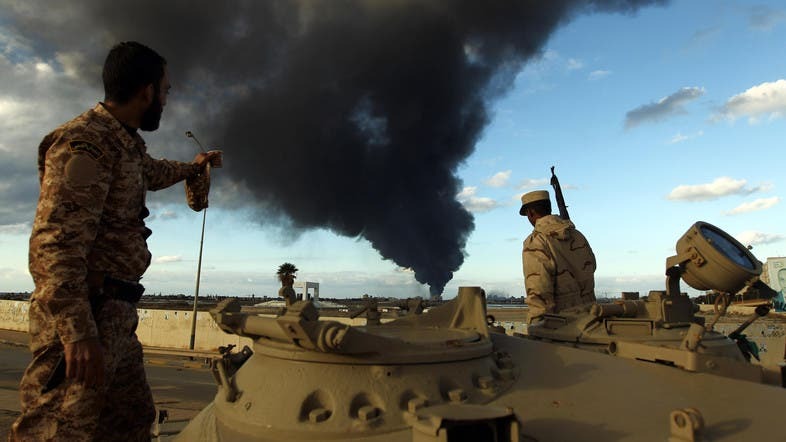 The militia alliance also holds the third city, Misrata, and it launched a bloody offensive in December to seize control of key oil terminals but was repelled by the army. The U.N. special envoy to Libya, Bernardino Leon, had warned at the start of the Geneva talks last week that they were a last-ditch effort to prevent all-out chaos. Leon also underscored the threat of Libya becoming a hotbed of Islamist insurgency. U.N. talks in Libya: Dead on Arrival?